During the 2015 GC Session, Alvin Kibble, vice president of public affairs and religious liberty, learned that a symbol of hate — the confederate flag — would be removed from the South Carolina Capitol, following the massacre of nine African American worshippers by a white supremacist at a Charleston church. Kibble stood at a delegate mic in the Alamodome and waited for a chance to speak. God had impressed on his heart to call for a moment of silence for the men and women killed less than a month prior. When he was finally granted permission to speak, he asked the chairman if the body could observe a moment for the victims. The response? Kibble was told he was out of order and the request was denied. Bonita Shields, newly appointed director of Stewardship, led in the prayer and moment of silence for the victims of the Tree of Life massacre. Sabbath at the NAD was full of song, prayer, and testimonials — a full four hours of worship and praise as North American leadership rested together from the business they are gathered together to conduct. G. Alexander Bryant, executive secretary of the NAD, rose shortly after Noon to deliver the message. At the beginning of his sermon, after a heartfelt introduction by President Jackson, Bryant told the audience that Jackson has been trying to get him to preach the Sabbath sermon at NAD Year-end Meetings for three years now. Because of what happened in both 2016 and 2017, Bryant said no — he felt the people needed to hear from their President. But this year, he couldn’t say no to Jackson’s request again. He continued saying, “We know what God requires of us to lead a Christian life. But what does God require of us to be a Christian leader?” Bryant discussed how he’d always been “first chair” his whole life, even in school, and so when he received the call to come and serve as executive secretary at the NAD, he became fascinated with the concept of leading from the second chair. What does that role look like, he asked himself. What does leadership look like when you’re not the leader? He discovered a book that addressed this very topic, and it opened his eyes. Bryant then discussed the great challenge Jesus faced with his disciples: how to change their worldly, “Gentilish” view of leadership to one that was Christ-centered with a Christ approach. When it came to following Jesus, the disciples left everything without question. But when it came to following him in leadership, Jesus had to show them time and time again the right way. While Jesus tried to prepare them for what was to come, they were focused on what positions they would hold, arguing amongst themselves. “Mundane stuff in the midst of a looming crisis. I wonder how often we get caught up in mundane stuff and a crisis is coming over the horizon,” asked Bryant. The disciples were obsessed with ascending, but Christ descended. He became the servant of all. Jesus was trying to get the disciples to understand, “I descended to serve,” but they just couldn’t get it. They were so deeply embedded in the culture of their day they couldn’t see the message of why Jesus was there. “You can be a follower of Jesus and not have the mind of Jesus. You can be a leader of Jesus and not have the mind of Jesus,” said Bryant. Bryant reminded the audience of the story of Jesus’ washing the disciples feet. When Judas saw that, it was the last straw, said Bryant. Judas said, “If he can wash my feet, he can’t be my leader.” That was the power of culture — the disciples had been taught that a leader is above everyone else, but Jesus said no — a leader descends to serve everybody else. But the cultural mindset was strong. Even after three-and-a-half years of learning at Jesus’ feet, the disciples still didn’t get it. We know there are tares among the wheat in the church, said Bryant, but that’s God’s responsibility to sort out, not ours. Jesus said leave that to him. It wasn’t for the disciples to do, and it’s not for us to do. “We don’t know who is who and we don’t have to know.” Our job is simply lead everybody as Jesus led. 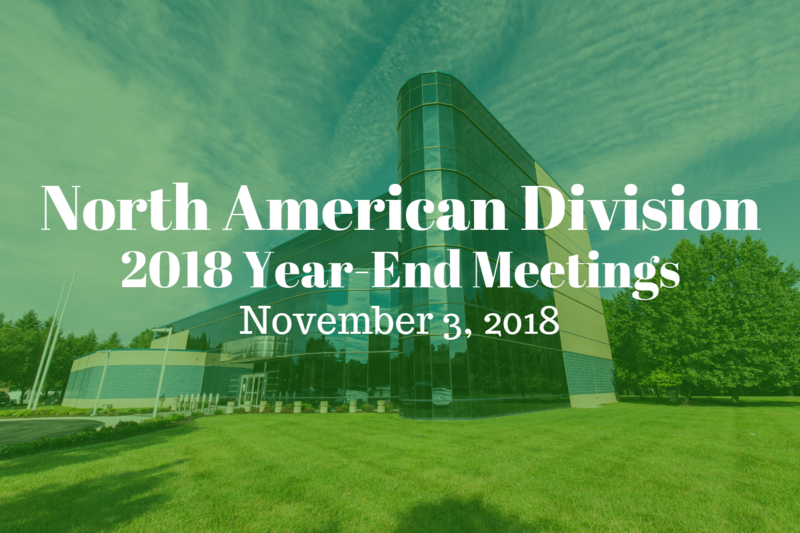 More videos from the NAD Year-end Meetings available on the NAD website here.